Paljor Tsarong* remembers an unsung independence fighter who died during the tumult of China’s brutal suppression of the Mar 1959 Tibetan national uprising in Lhasa. (TibetanReview.net, Mar21’19) – “Who’s that man in the photo with a suit and a tie?” my daughter asked. “That photo’s been lying around for ages among your messy pile of documents.” “There’s much order in chaos” I reply and began telling her the story of the man in the photo. His name is Ngawang Sengye, also known as Losang Yeshe. He was a young official of the traditional Tibetan Government. He was close to Takdra Labrang Dzasa Chantsö Chemo, the main manager and official of Regent Takdra. It was in 1952 that Losang Yeshela went to China and attended the National Minorities’ School. There he developed into a staunch proponent of Tibetan independence. He had good connections with Phala Drönyerchemo and in 1956 went to Kalimpong, India, with the hope of joining Chenkhentsisum, the pro-independence group. He was, however, considered a risk since he had studied in China. So Losang Yeshela returned to Lhasa. 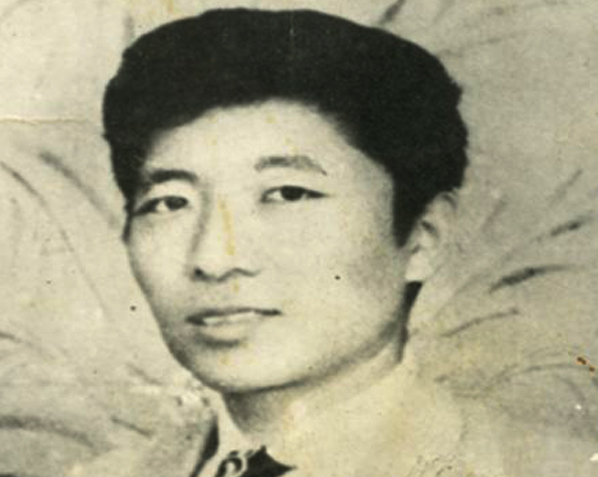 In late 1957 Losang Yeshela joined the Tensung Dhangla Magar, the guerilla organization based in Driguthang, Southern Tibet. He journeyed a few times between Lhasa and Driguthang, coordinating Dronyerchemo Phala’s covert activities. In March 1959 he made another secret trip to Lhasa to collect arms from the government arsenal to take back to Driguthang. He successfully sent the first batch of guns and ammunitions across the River Kyichu just before the shelling of Lhasa on March 20th. When the bombardment started, it soon became clear that the Tibetan resistance was totally outgunned. Losang Yeshela now decided to retreat to his base in the south with another load of arms. Unfortunately he did not make it. He was shot and he died at the Ramagang boat crossing. However, his fellow militias successfully transported his cache of arms across the Kyichu River and to the south. I now know why that photo was just lying on my desk for so long. “Thanks Tenzin Yangchenla for noticing that and asking me about it.” I can now put it away safely. One other thing! Whenever I think of Losang Yeshela, I cannot help but recall the patriotic deeds of Tseja Gyentsèla and Tempa Joghala. They were two officials of the Tibetan government who were also working for Phala Dronyerchemo’s secret independence activities. When the shelling began on March 20 and the resistance was all but put down and there was nothing left but arrests, Tsecha Gyentsèla and Tempa Joghala retreated into a chapel in the Norbulingka Palace. There they offered prayers, soaked blessed pills and took an oath never to surrender. They placed a few pills on their tongues, took out their pistols and on the count of three, shot each other. In the midst of the intense shelling, it was too late to destroy incriminating letters and posters of their underground activities which they had stashed away in a house at Lhasa. The Chinese would discover that sooner or later; but that was all they were going to get. Any more information on their secret independence organization and members died when they shot each other. It’s been exactly 60 years today since the heroic events of these three martyrs unfolded. Let us remember them; Losang Yeshela, Tsecha Gyentsèla and Tempa Joghala and let their families know that we remember them and hold them dear. * Paljor Tsarong, a PhD in Anthropology, is an independent scholar based mainly in Madison, Wisconsin, USA.